Services (also known as Tasks) are used when tracking time, so you can bill a hourly or flat rate rate for the work you're doing. 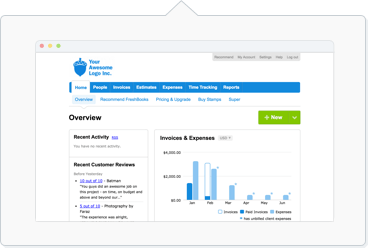 Different Services can be used while tracking time so your Clients know exactly what you're billing them for. You can also see where your time is going so you can estimate and bill for Projects more accurately. If you’re looking to manage your Items (for goods or products) instead, you can read more here. Your newly created Service will now be visible in the Projects and Time Tracking sections to track time towards. If you’d like to add Taxes and a Service Rate afterwards, you can go to the Items & Services section and edit your Service there to include these. Make any changes as needed and click on the Save button to finish. To delete a Service, use these steps. I tried to create a new Service but an error says the name is taken? Service names must be unique. If the name is taken, the Service name already exists elsewhere in your Archived Items & Services section, or in the deleted section. You can use the steps here to access the section and either edit the name to free up the original one, or restore the Service if it’s been deleted.